Today I called my son’s girlfriend, Tori, to see if she wanted to hit the surf. 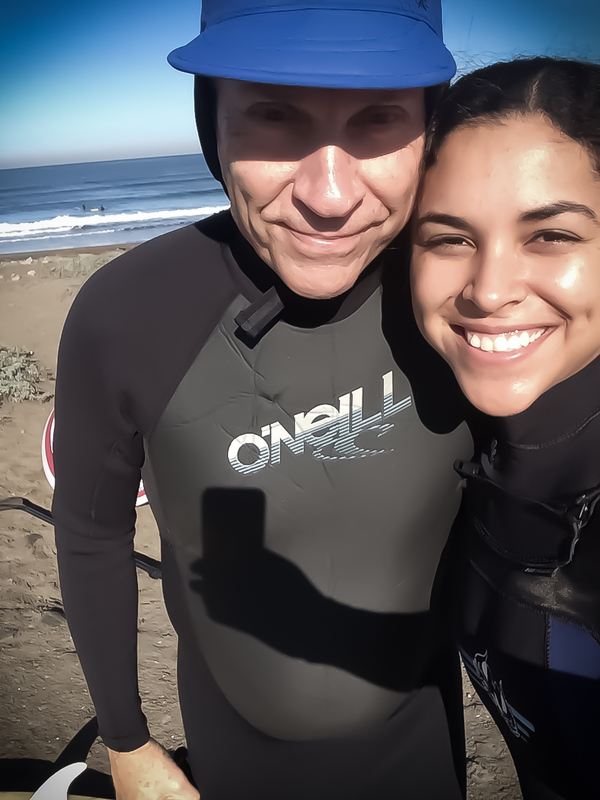 She did and we did and it was small but glassy and I got more waves in this session than in any other since starting paddleboarding all of three months ago. AND I took my first steps toward the nose. I couldn’t stop smiling. Tori said I was shreadding, but you know, she may have exaggerated a tad. But here we are, and boy can she smile.